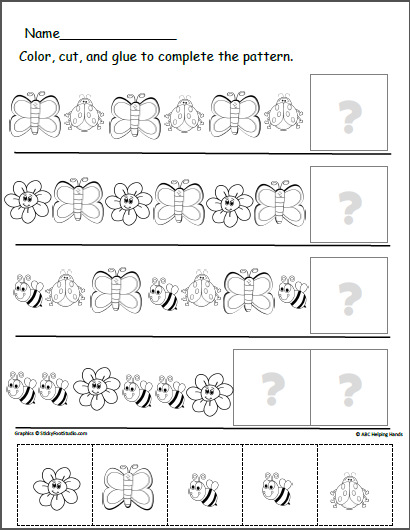 Free Kindergarten and preschool math worksheet for making patterns. 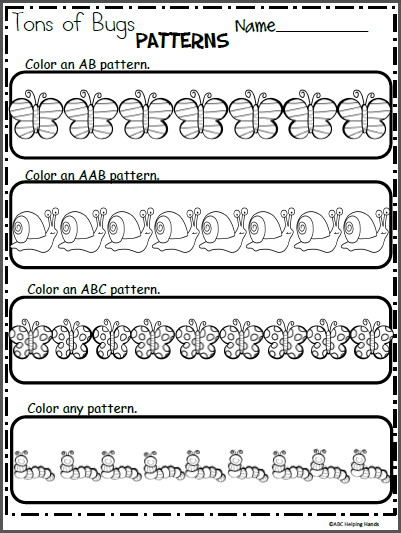 Color the bugs to make spring patterns. 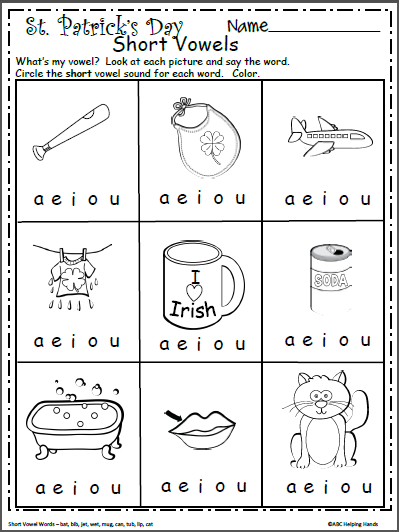 This worksheet is fun independent practice, morning work, and homework. Cut and paste the pictures to complete the spring patterns. 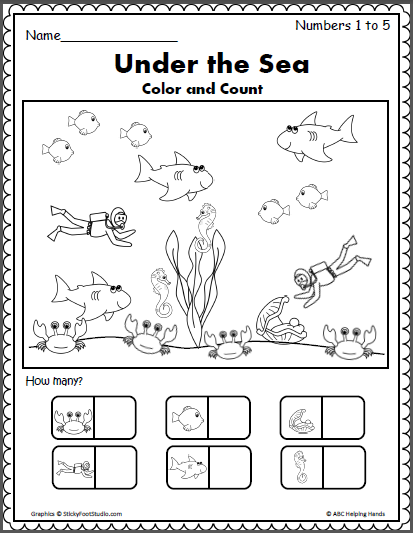 Color and count the sea pictures. Write the numbers for each object. Free!